Everyone is talking about the wedding of Prince Harry Windsor and Meghan Markle, and especially the sermon delivered by Michael Curry, the Presiding Bishop of the US Episcopal Church. Many questions have been raised about the political undercurrents behind Curry’s invitation to preach at the wedding. Also of note has been the Church’s moral and doctrinal bankruptcy, during the last half-century, to teach moral truth and and equip the young with godly doctrine, leaving the newlywed royal couple as unwitting victims of this negligence. We discuss it all, on this episode! 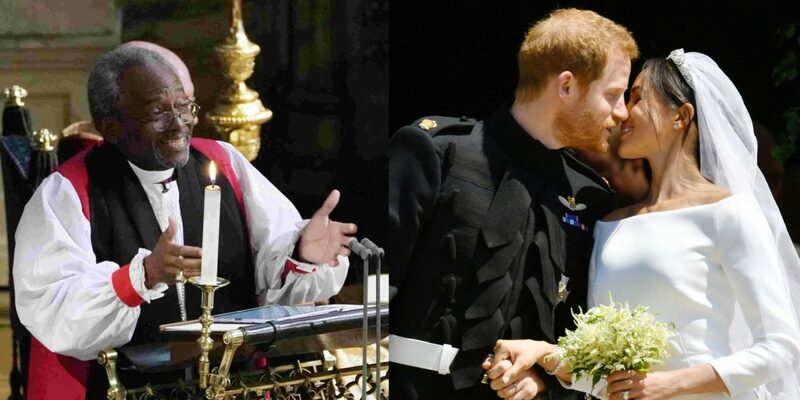 Bishop Gavin Ashenden: Michael Curry & the Royal Wedding. A star-turn offers the world ‘Christianity-lite’. Rod Liddle (in the Spectator): Rod Liddle (& a bit of Gavin Ashenden) on why bishop Michael Curry talked about the wrong Jesus, at the Royal Wedding. David Virtue: Royal Wedding Opportunity that Misused Love and a Sermon Turned into a Socialist Rant.